There's this French saying that I really like: 'On ne discute pas des goûts et des couleurs' Which, in essence, means as much as: there's no need to argue about taste or personal preference. So why do I start blabbing French? Because it totally fits the pen I'll be talking about today! 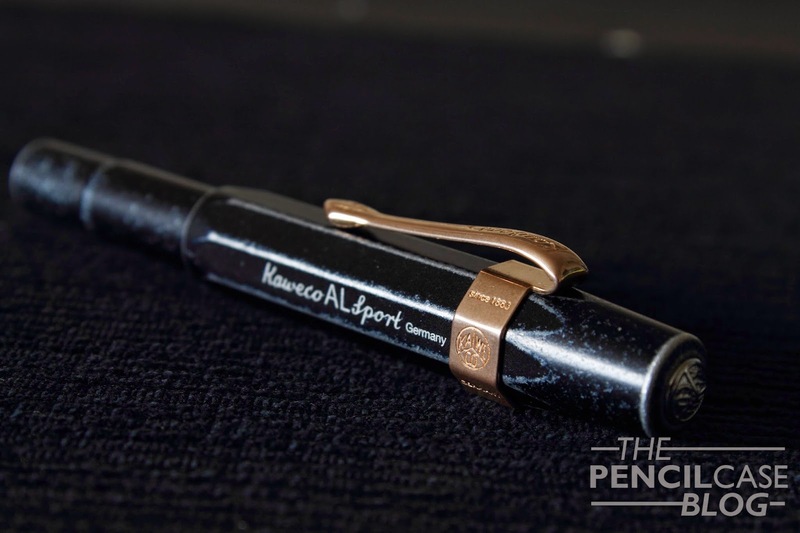 Kaweco is, despite staying true to their original vintage designs, one of the few pen brands that doesn't mind going for a radical aproach. 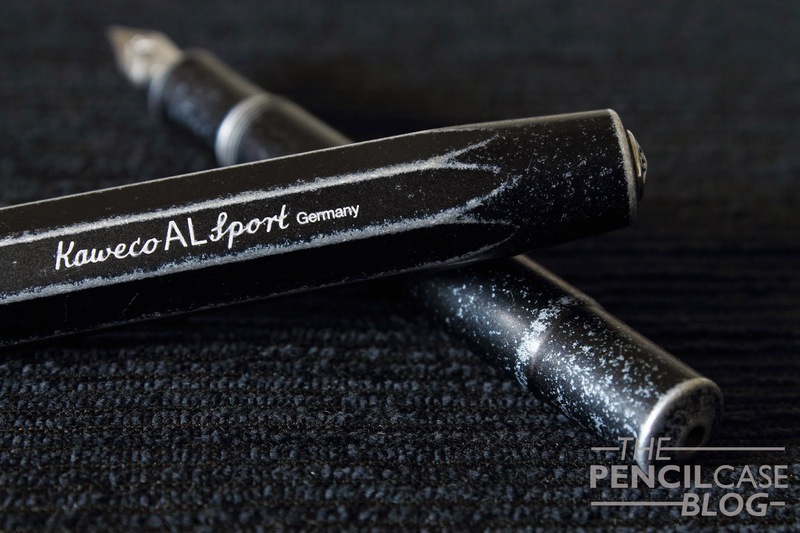 A year or so ago, they came up with the Al Sport raw, a highly polished aluminium pen, incredibly susceptible to scuffs and scratches, advertisements even came with a warning that it isn't for the faint of heart! Well, with this pen, I feel like they went yet another step further. 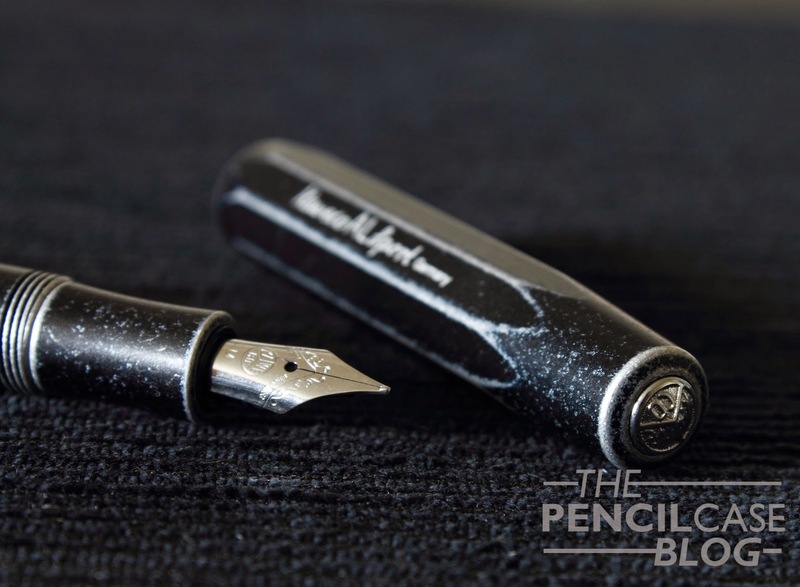 They took some perfectly fine Al-Sport fountain pens (in blue and black annodized finish), and threw them in a a mixer with some polishing stones. 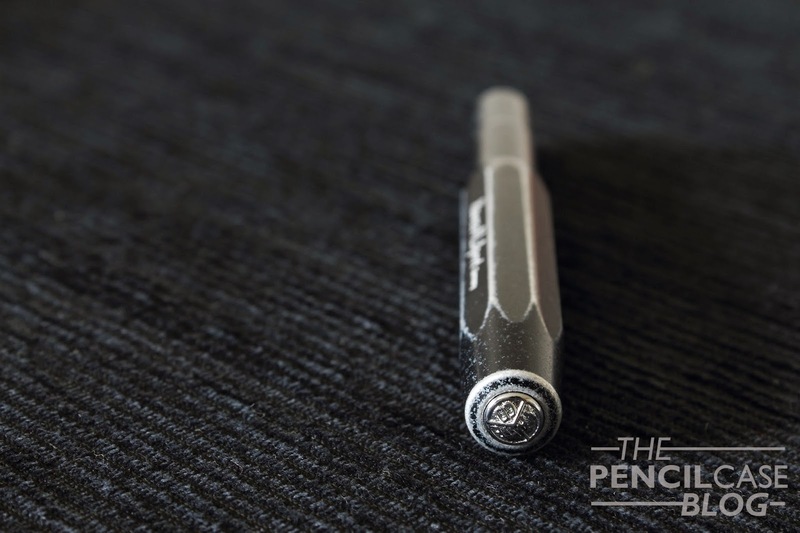 Result: a pen that looks like it has lived in your pants pocket for years, the Al-Sport Stonewashed! Now honestly, when I first heard of this, I wasn't too sure about it. I never thought I'd like this worn-in finish. I'm the kind of guy that prefers to keep my pens in a pen pouch to keep them from getting damaged. 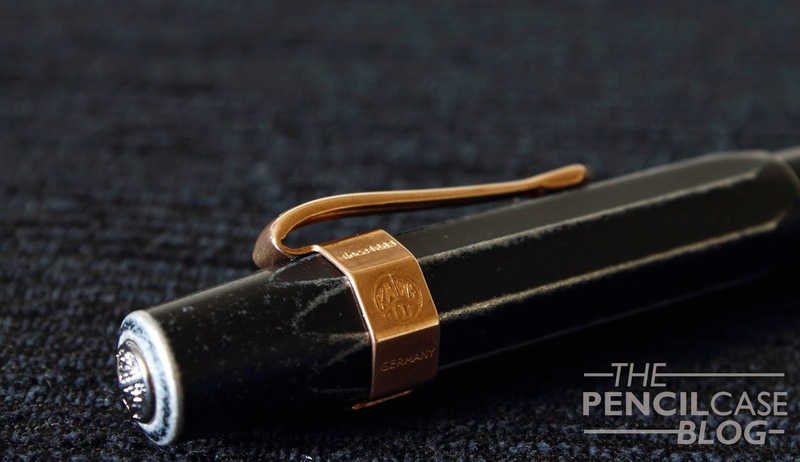 Even the pocket friendly Kaweco sport pens don't leave the house outside their pen pouch! That being said, buying a pen like this, that already looks beat up, forces you to actually (ab)use it. Where I would never put a normal pen in my jeans pocket, this one basically lived in my pants, it belongs there. You don't have to worry about scratching it even more, because frankly, you wouldn't even notice any additional scratches! Aside from the benefits of not having to care about the condition of the pen, I also found a few negative sides about this new finish. Though admittedly some of these issues are very personal, and they might not bother you the least! For starters, I think the worn effect is a bit too even. All corners and edges have the exact same amount of wear, which doesn't feel natural (Of course it isn't, natural wear and tear like this would take ages!) Secondly, I don't really like the feel of it. It doesn't look smooth at all, but apart from a few deeper dings and scratches, it's actually a lot smoother than the regular matte black Al-Sport. Why I don't like it is a mystery, but I do know that I prefer the matte finish on the untreated black Al-Sport! Other than the different appearance, the Al-Sport Stonewashed is still just an Al-Sport. it's a small pen, one of the very few 'real' pocket pens I can think of. And it has an odd-looking design. The Sport pens from Kaweco have already proven to be a real succes, and I'm just one of many people that really like these little pens. This new stonewashed finish on the other hand, might be more of a 'niche' pen, only for the people that are really into wabi-sabi! 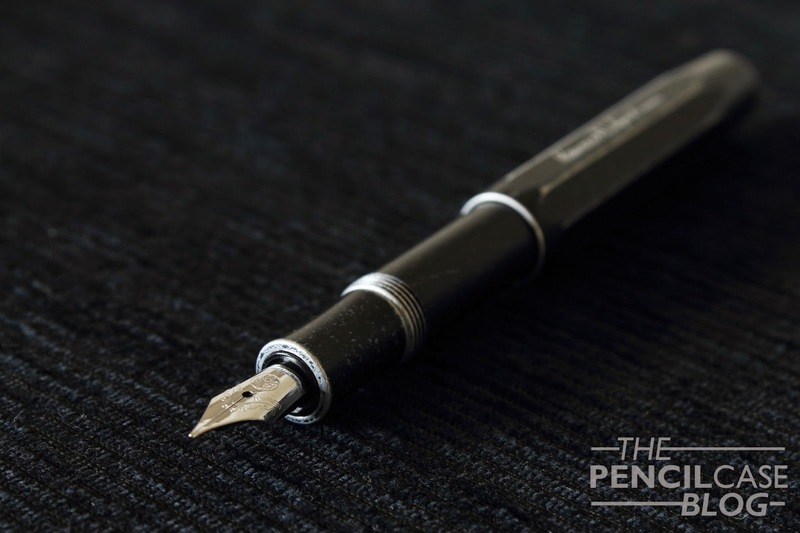 As I said in the beginning of this review, preferences can be personal, but apart from the peculiar finish, there's no denying that this overall design works. 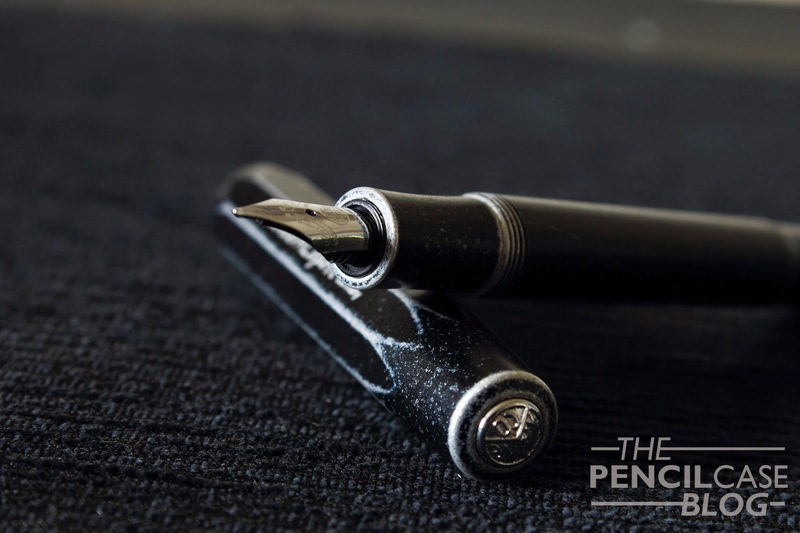 It's a functional pen, small when stored, but large enough when you're writing! The performance of this specific one was a bit of a mixed feeling. It performed pretty good out of the box, and it writes smoothly. But unlike my other Kaweco's, it's not a wet writer. The steel medium is rather dry, but not to the point where it would skip or stop writing. Personally I would have preferred a slightly wetter nib! Other than that, it wrote just fine, and I'm sure a bit of tweaking could have made it a lot wetter, but I didn't want to mess with it as it isn't my pen! A cool little detail I didn't talk about yet, is this new 'deluxe' clip. I never liked the cheap-looking squared-off clips, so I think it's great that you now have the choice between the old clip or this, slightly more expensive, new design! These deluxe clips come in three finishes: bronze(the one I have), chrome or gold. I think the way this bronze clip ages, suits the Stonewashed finish nicely! 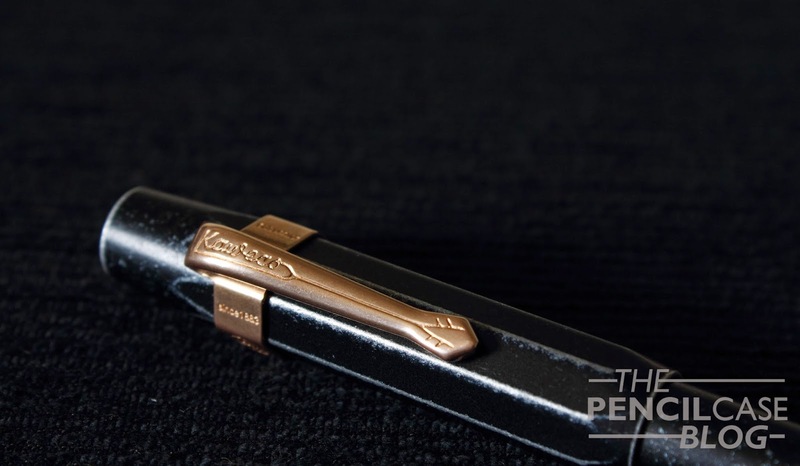 Would I buy this pen? That's the question. And my answer would probably be no, or at least not at full retail price. It actually costs a bit more than the regular Al-Sport pens, at 63 EUR or 83 USD. Which, on average, makes it about ten percent more expensive than its non-trashed brother! 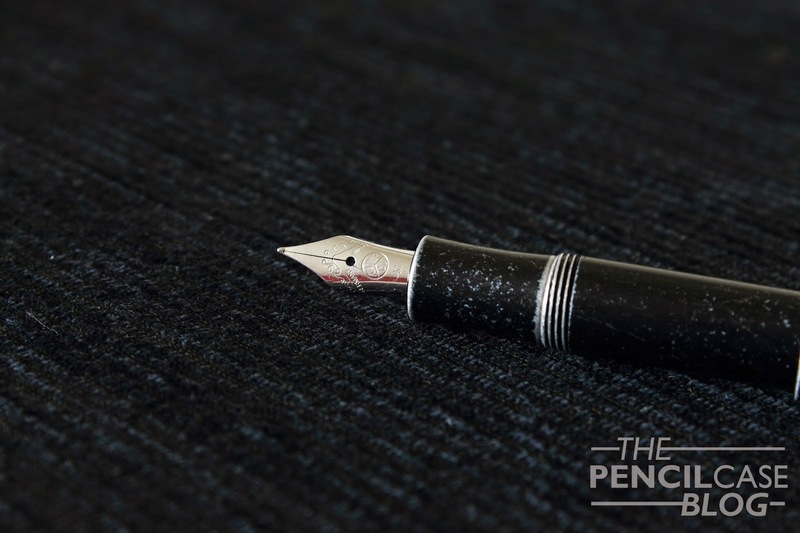 Note: this pen was lent to me by Kaweco, so I could write this review. I was in no way influenced in the making of this review, nor was I monetarily compensated. The opinions shared in this review are completely my own!